In the recent post, there were 170 open issues in the tracker. One of the things I always check for when looking at anything on GitHub, particularly open source projects, is the number of open issues. If there’s loads of them, particularly if some are ancient, then I start to twitch. 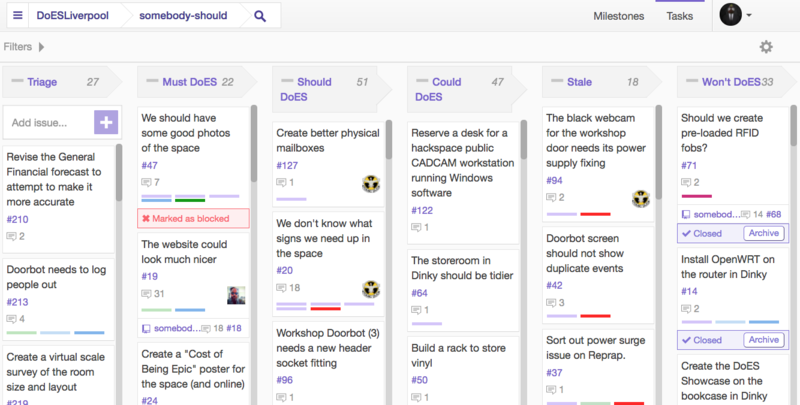 That being said, the rest of the #weeknotes – every week for years on end – shows that the DoES community get through a staggering amount of epic stuff each week. So why the huge backlog of issues? Is GitHub the wrong tool? 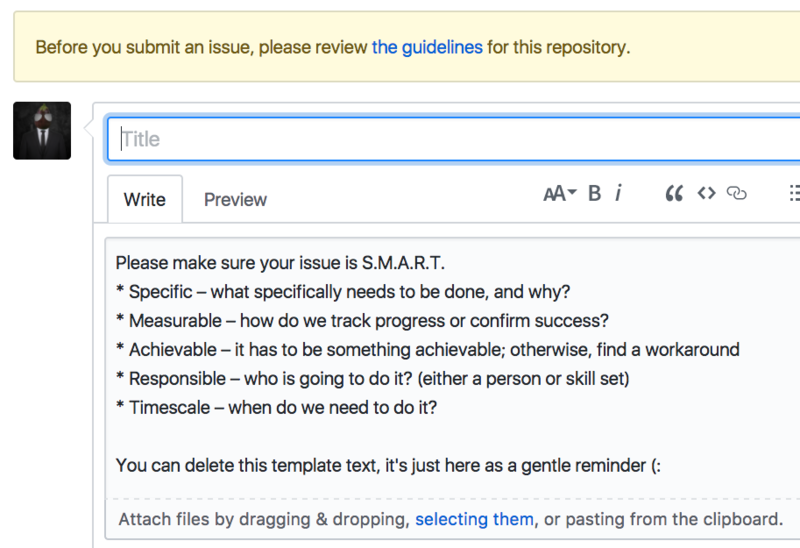 GitHub isn’t really a task management system – it’s a code management system with code-related issue management as part of the package. But it’s also home to hundreds of thousands of open source projects, not to mention most of stuff that DoES does. So, while it’s perhaps not the most ideal way to track tasks, it’s adequate and familiar to most of the people who frequent DoES. It’s also practically free, widely adopted, easy to use and reliable. 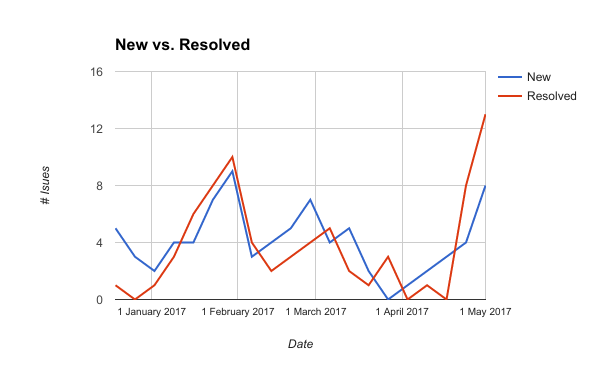 The first thing I wanted to check was the rates at which issues are created vs. resolved. Is it simply a case of the small core DoES team being overwhelmed by the surprisingly large and diverse community that DoES serves? Issues are being resolved at roughly, but not quite, the same rate as they are being created. 3.75 issues / week resolved. That’s a weekly growth of +0.35 issues per week. A rough calculation based on a small sample size, but I think it’s clear what’s happening: Death by 338 consecutive weeks of paper cuts. That tiny increase, over time, has created a monster. Add in a few actual deluges, like plans to improve the website and relocate DoES to bigger premises, and you end up with a backlog of 170 issues. 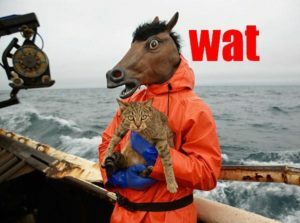 So, how do we tame it? 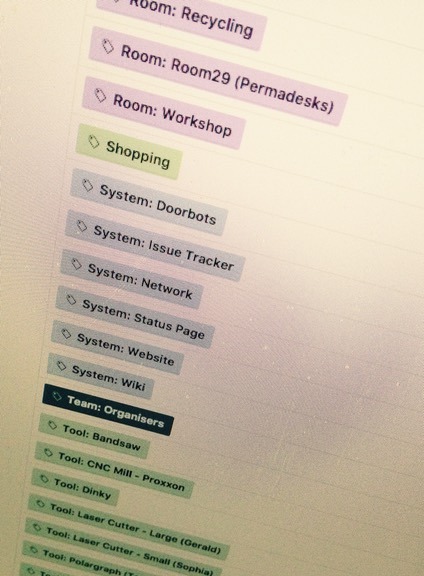 That will list issues which haven’t seen any action prior to the 4th of May 2015. When I ran these searches over the past few weeks, it turned up about 50 dead issues. A few were closed immediately, the rest were labelled “Stale” and commented “If no further action taken, this issue will be closed next month“. At that point, lots of tickets started getting comments asking not to close them. And probably both. In other words, it’s pretty much dead and we need to either accept that, or make a last ditch but concerted effort to revive it. 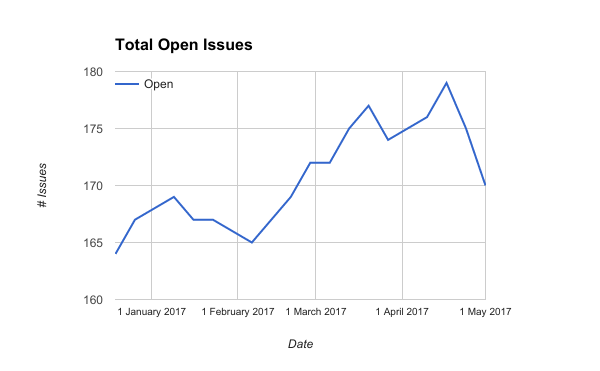 Total open issues on the DoES issue tracker. Mid-April was when the first batch of dead tickets were marked stale. What’s in a (label) name? Sometimes things just gradually get out of hand, and issue labels (tags) were the next aspect of our tracking system to face scrutiny. 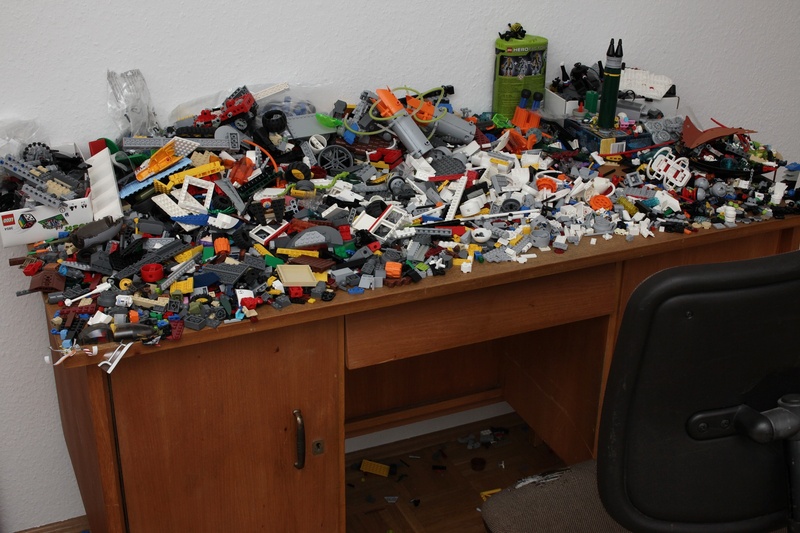 They’re not particularly conducive to getting things done. 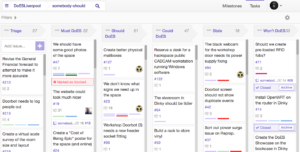 DoES has been using Huboard for a while – it’s a lightweight kanban board which organises issues in to swim lanes based on their labels; specifically, labels that follow a particular naming pattern. If you’ve got a GitHub account, you can view it live here (otherwise you’ll just see the Huboard home page). What about the other labels? The remaining labels covered everything from parking spaces to bandsaws to shopping. Machine-specific labels mostly used the “pet name” for the machine, rather than what the machine actually is or does. For example, “Gerald” and “Sophia” – to a newbie these labels are opaque, it’s only after a guided tour of the workshop that you’re likely to learn that Gerald is a large laser cutter (“Gerald the Great”) and Sophia is a small laser cutter (“Sophia the Small”). Onboarding is a decidedly non-trivial task with labels like these – there’s just too much prerequisite novel knowledge for every facet of the labelling system for anyone to pick it up in a reasonable amount of time. Great if you already knew about Gerald, but confusing for newbies like me. Hopefully these new label conventions will make onboarding a bit easier. GitHub has an API that makes it easy to integrate with external systems – it’s a double-edged sword. Any changes to the label names in GitHub break it. Why? If you change the name of a label, the URLs change = fail. GitHub, it seems, doesn’t assign unique IDs to labels (or if it does, our status page isn’t using them). None of the labels were documented anywhere, or, if they were, it was in lots of fragments in lots of places. We’ve made a start on documenting our labels, and when/where to use them, and what effects changing them might have on external systems. It’s a bit verbose, but at least it’s put the information in one place. Achievable – state what results can realistically be achieved, given available resources. Responsible – specify who will do it. Timescale – specify when the result(s) can be achieved. How do we let people know about those criteria? 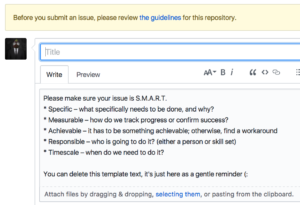 GitHub has a template for new issues (you can see it in action on the image posted above). There are probably other things to improve, but for now it’s time to let the dust settle and monitor the tangible effects (or lack of) of the alterations.